On Sunday, January 8th, I had preached a sermon that really impacted many people in our congregation and acknowledged similar experiences themselves at some point in the past. This sermon is the result of my own personal experience and I had conveyed to a few people in the congregation that I felt that I was going to be voted out as their pastor, at the upcoming annual business meeting at the end of the month. Satan has made some subtle whispers to me that it was actually going to happen and it caused some distress in my life. When I had mentioned it to one of the ladies of the church, she said to me, "No way. That's not happening. If you're voted out, we're going to another church, or wherever you go, but that's not happening." Another woman also said, "You better NOT leave us!" But the devil was indeed playing mind games with me and he's done so to others too. On Saturday afternoon, I asked the Lord, "Since this is something that I'm experiencing and others are, or have also experienced this too, would You help me to preach this to the people at Magnolia Church?" 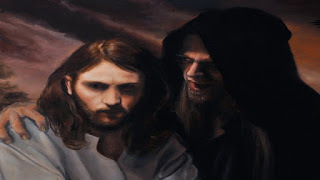 Just a short while later, when I returned home, I began looking at Luke 4:1-13, when Jesus was tempted in the wilderness by Satan for 40 days (Luke 4:2). I asked the Lord's help to develop an outline for preaching this passage and I'm thankful to God, by His Holy Spirit, to have helped me to formulate an outline to preach this passage. The Facebook Live video from that Sunday was shared by quite a few people at the church and then it was viewed by more than 2,100 people as well. So, today, I read a recommendation about sharing my sermon notes, whether it be a full manuscript, or an outline on my blog that would help others too. If you feel this message has been a blessing to you, please share it with others, on social media using the icons at the bottom of this post. The video has been uploaded to YouTube and you can watch it here. All of what Jesus experienced here in this passage was a private war and even a personal war too because it was a one-on-one spiritual battle. The example we also see here is that what Jesus experienced, He experienced for us, to show us that He understands what it’s like to be tempted by Satan. a) Don’t let the devil lead you into believing that you can be satisfied by temporary need apart from an eternal purpose that is established by God alone! 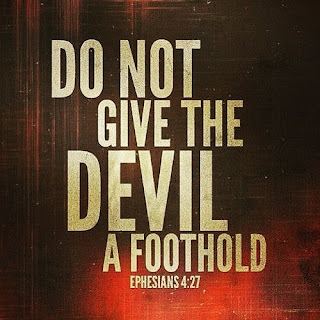 b) Don’t let the devil lead you into believing that you can compromise your walk with Christ, for something selfish today. b)The devil would be more than pleased with any person who compromises their worship of God. He would be more than pleased for the truth of Scripture to be compromised - Preaching, Worship, Evangelism, Discipleship, Marriage, Family, Tithing. Friends, don’t believe the lies that Satan has been trying to speak to you. All he wants to do is try to get to you walk away from Him, to cause division between you and God, even between you and the church too. In each instance of the Devil’s multiple offers that he made to Jesus, He always responded with the Word to prove Satan wrong. Hebrews 4:15 - For we do not have a high priest who is unable to sympathize with our weaknesses, but one who in every respect has been tempted as we are, yet without sin. Don’t let the devil lead you into believing the lies about your life. You are blood bought by Jesus Christ, you are sealed permanently and eternally by the Holy Spirit of God, you are now and forever will be a son, or daughter of Almighty God. The Word of God ALWAYS conquers the one true enemy of our souls - Satan. Has Satan been playing mind games with you? Don’t let Satan play mind games with you anymore.